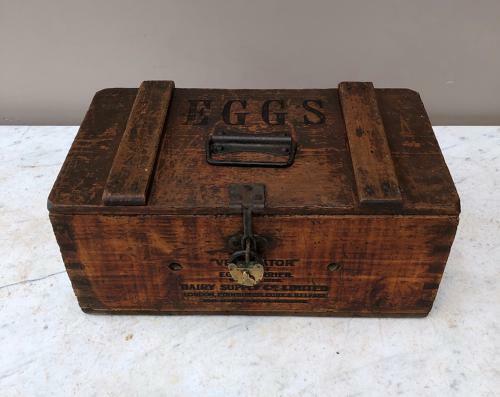 Early 20th Century Pine Travelling EGGS Box made by The Dairy Supply Co Limited. EGGS to the top, sides and back. On the front "VENTILATOR Patent Egg Carrier. Dairy Supply Co Limited. London. Edinburgh. Cork & Belfast. Sole Agents for the Patentee" Brass padlock mine sorry not included. All pine...good condition, all shown on the photographs. Few odd worm holes - long gone.